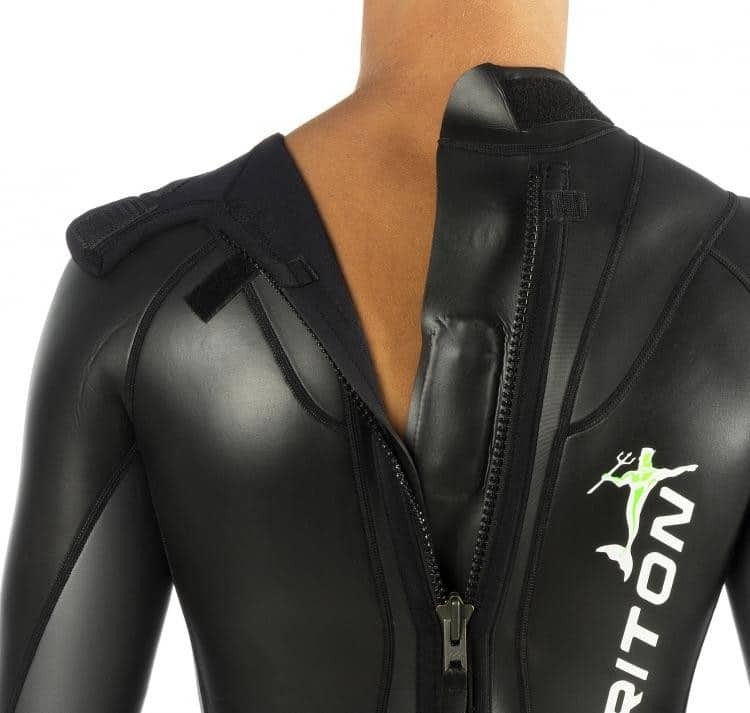 The new Triton 1.5mm swimming Cressi is a multisport suit with the freediving market very much taken into account. 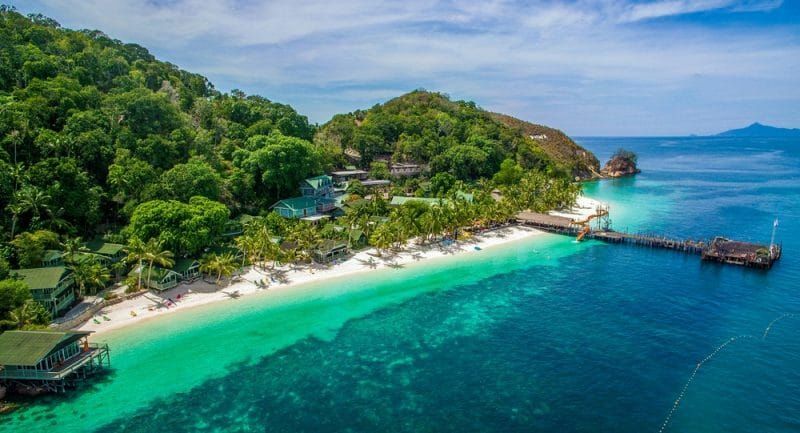 It can be used for open water swimming, freediving pool training (very good) and also freediving depth in warmer waters. It has been suggested it could be used for scuba diving in warm waters, but I believe the outer material would be too delicate with a BCD rubbing against it. It is a rear entry, single YKK back zip and very easy to put on using the old ‘in the water’ or ‘plastic bag on the hand’ tricks. It has anti seepage collars which are very effective even with arms up. It has “smooth against smooth” flaps to minimize water leaks in the back area. Very comfortable around the neck line too. When new I found zero flush, which is ideal. In my experience it is very quick drying, however despite its UV protection be careful about drying in direct sunlight, even when it is inside out, or the suit will be damaged either by direct damage or the suit melting onto itself when inside out. The wetsuit is made of 1.5 mm neoprene ULTRASKIN. A very good manufacturing process has made one of the most durable performance suits I have seen for a long time; the suit we reviewed has been used for 6 months and is still in great condition. The material has a smooth exterior finish and Glide Skin waterproof treatment that guarantees exceptional hydrodynamics and good resistance to tearing. The metallic YKK zipper semi-seal with anti-corrosion treatment gives ideal durability. At the same thickness as the old discontinued Aqualung Sport Apnea Freediver suit, it gives good glide as you can wear a bit more weight. For safety, it has a special insert in the forearms, fluorescent green for men or fluorescent orange for women. This allows the wearer to be spotted during open water from a much greater distance when swimming or waving. The interior is lined in X-THERMIC to ensure good insulation. Additional features include a handy key pocket and a label for adding your name. The neoprene area below the forearms has an inverted scaling finish improving the stroke while swimming Dynamic no fins / Constant weight no fins. Cressi have a lot of experience in patterning, producing and developing the correct materials and this suit has certainly benefited. The cut optimizes comfort and prevents chaffing, especially in the areas of greater movement. This is a great pool suit for performance, but because of the quality of its manufacture and materials it will last longer than standard performance suits on the market. Good seals, good glide, warm and well fitting, as well as flexible when arms are up for DYN and DNF, it would also be a good suit for depth in very warm waters. Photo credits: Cressi stock photos.